When it comes to sport shooting with rifles, one of the most important things that any individual must do is to make the right decision about which scope to use. The truth is, it doesn’t really matter if the shooter has a top-of-the-line rifle when they have a scope that is mediocre at best. While the rifle might be perfectly capable of doing the job, you have to be able to see the target clearly so that you could fire effectively. Therefore, the scope is easily one of the most important pieces of equipment that you need, right after with the mount. In this Weaver scopes review, you will learn more about the Weaver brand in general and then will be able to use the review to find out which Weaver scope is best for your own particular needs. One thing is certain, Weaver scopes have been around for a long time. Their first product was introduced by the company in 1930 as a brainchild of their founder, William Weaver. The idea was to sell high-quality scopes at a price that would let people actually afford them. At the time, the only scopes available were those that were either far too pricey for most individuals to purchase or simply had questionable quality. People involved in sport shooting or hunting for food for their families needed to be able to rely on a high-quality scope but many of them simply couldn’t afford the only ones worth purchasing. This was something that Weaver himself set out to correct and he did exactly that. His first scope was of exceptional quality and it sold for less than half of the price of its cheapest competitor. Furthermore, his scopes all included mounts, something that no other company was doing at the time. This set the company in a class all by itself from the very beginning, a position that it has maintained for the eight decades since its inception. Keep reading to find out more information about five of Weaver’s most popular riflescopes. 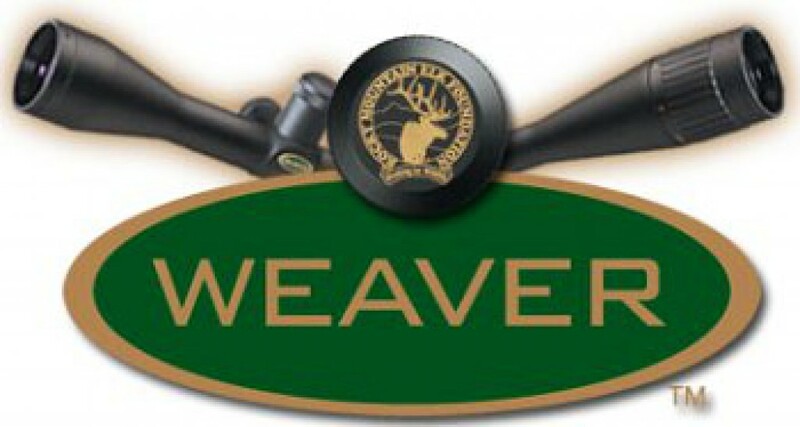 This product is easily one of Weaver’s most popular riflescopes ever made. There are a lot of reasons for its popularity, but the truth is, it relies on the same level of quality and workmanship as every other Weaver riflescope. In fact, it shares many of the exact same qualities as other products sold by the company. For starters, it is finished in matte black so it doesn’t stand out when in use. It is also a professional quality scope designed for things like professional sports shooting. It has a one-inch nitrogen-purged tube protected from fogging. Furthermore, the lenses are fully multi-coated and all exterior lenses feature a hard coating. This provides near-perfect visual clarity while simultaneously making the riflescope itself almost indestructible. As if that weren’t enough, its Dual-X Reticle features a 1/4 inch adjustment at a distance of 100 yards. As you can see, this is a product designed to be easy to use without compromising accuracy in any way. In addition, it might be difficult to believe that something that weighs only 10 ounces is waterproof, can withstand a significant shock and is capable of maintaining its clarity even in adverse conditions, but that is exactly what you get when you purchase this riflescope. If you are looking for a scope that allows you to easily compensate for changes in elevation, windage and wind direction, this could be the very product you have been searching for. Like most of the products from Weaver, it features a 30-millimeter single tube construction with a black matte finish. In addition, its tactical Reticle is illuminated and the lenses are multi-coated. This provides an ideal contrast for excellent vision, thanks to the superb light transmission. Even in situations where it would normally be difficult to see, this scope makes it much easier to see with perfect clarity. Like other products from Weaver, it is also nitrogen-purged so that it can float on water and doesn’t fog up. More importantly, it won’t break even if it is dropped from a rather significant height or is otherwise abused. If you need a tactical scope capable of taking a lot of punishment and still allow you to shoot with accuracy, this is what you need. Like most of the other riflescopes the company offers, this one comes in a matte black finish and features a professional quality construction and workmanship. The one-inch tube is purged with nitrogen and also incorporates a Semi-Target Turret. However, the company did not stop there. The riflescope also has a DOT Reticle that features a fine cross-hair and an adjustable objective. The result of all this workmanship is that, at a distance of 100 yards, the riflescope features a 1/4 inch adjustment for outstanding accuracy. Like its companions, it is fog proof, shockproof and waterproof. It is also lightweight, as it weighs just 16.8 ounces and measures 14 inches long. This is another professional quality scope offered by the company. Like with many of their similar products, the reticle is illuminated so it is perfect for low-light conditions where other scopes may falter. It also features a 30-millimeter tactical tube and is among the top of its class when it comes to rugged and reliable performance in a wide variety of different circumstances. It also features a 1/4 inch MOA adjustment for better accuracy. Like most of the other products discussed in this article, all of its lenses are multi-coated for superior clarity. This means that you can benefit from seeing clear images even in challenging conditions. Also, like many of the other products offered by Weaver, the tube is nitrogen-purged so it won’t fog up when you need it most. 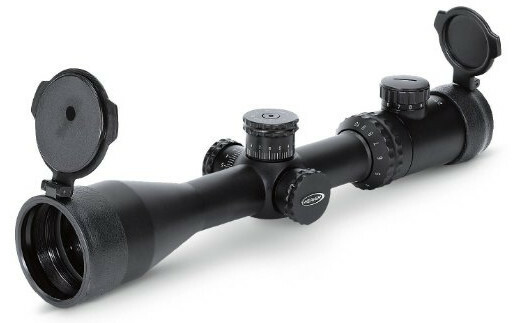 This scope is also available in a black matte finish and offers many of the same characteristics as other scopes from Weaver. For instance, it features a 1/4 inch MOA adjustment that allows you to easily account for differences in the wind’s speed and direction as well as elevation. Its one-inch tube also features one-piece construction for better reliability, even when the scope takes a real beating. The lenses are multi-coated so it works well in low-light conditions and it provides outstanding contrast so you can really see what you are aiming at without straining. Like all of the other riflescopes, it is nitrogen-purged so it won’t fog up. This process also makes it both shockproof and waterproof. Perhaps the thing that sets this product apart is its Ballistic – X Reticle, something that many individuals who shoot regularly really seem to be fond of. Are These Scopes Really That Different From the Competition? The short answer to that question is yes. There are actually a lot of things that make Weaver riflescopes different from the other scopes out there. First and foremost, the products from Weaver are designed to be better than the other products available for purchasing. The company has changed a lot of things over the years, but they have never changed its mindset that outstanding scopes should be available without forcing an individual to break the bank in order to purchase them. That is basically what still sets Weaver apart from everyone else. If you really want to purchase riflescopes capable of getting the job done for a fair price, you would be doing yourself a favor to purchase a scope from Weaver. In general, practically any product the company offers is going to be superior to most of the other riflescopes available, regardless of who exactly is making them. As far as these particular five products are concerned, they are among some of the best riflescopes offered by the company. They also provide a lot of different options for users, allowing you to choose the one that works best for you. Every shooter has different preferences and, in many cases, different needs depend on the type activity. When you choose one of these five scopes, you can tailor that particular product to fit your needs because of the different offered features. That said, the features that make high-quality riflescopes are always the same, to begin with. This is something that they all share interchangeably. Therefore, you could expect to purchase virtually any scope from Weaver and get more than you bargained for. By using this as something of a guide to finding the exact product that works well for you, you can make your decision based on the distances you usually shoot at and the conditions common for when you choose to shoot.